This was one of the larger playhouses that I painted on. The Marcus family has a huge built out basement area, which was decorated top notch! 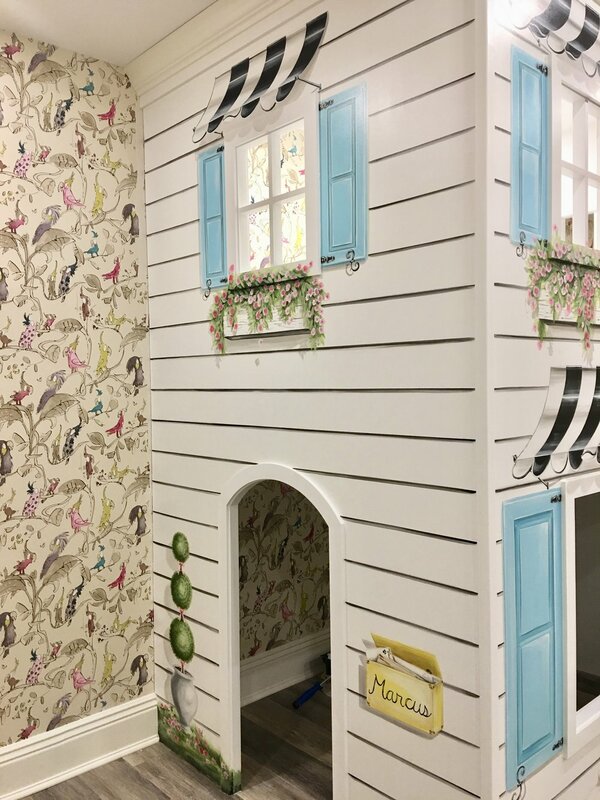 it had seperate rooms as well, including a room specific for this adorable playhouse. The designer and the client picked out blue shutters to add that complimented the wall paper and I pulled in other colors as well. It turned out so beautiful and I’m sure Jordan, Sienna, and Tessa are enjoying it. I’m so thankful for this trip and for meeting this family. They were extremly accommodating as well, plus I LOVE NY!